With over sixty years of continuous experience in Zinc Die-casting and Plastic Injection Moulding, Lesney are well qualified to offer advice and support to new and existing customers. The company philosophy is to provide a complete service from conception to completion, with quality as the integral element. 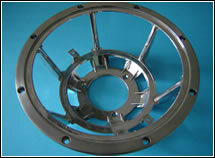 The close working relationship established by our engineers from the very start of the process, provides strong technical support, frequently resulting in simplification and more process friendly die-castings and plastic mouldings. Often this Value Analysis/Value Engineering leads to reduction or elimination of secondary operations or sub assemblies with subsequent cost savings for the customer. 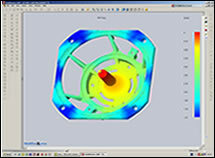 Our engineers strive to find a better way to do it. 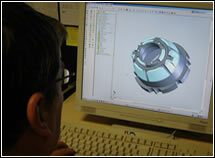 Operating the latest 3D CAD Systems, we can interpret the 2D & 3D electronic data produced in majority of the recognised design exchange formats, allowing us to analyse our customers component designs and advise them of suitability and improvements to their product for the die-casting or injection moulding process, prior to mould tooling design. Our experienced and knowledgeable team can also work from customers 2D hardcopy drawings without any problems. Working in partnership with all of our production departments, secondary operations and processes are finalised during the design discussion stage via Design Group Meetings. 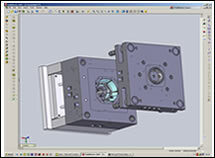 Our mould tool designs can be passed direct to our chosen toolmakers, either here in the UK or overseas, for accurate and rapid tool manufacture. Our in-house Tool Room also gives us the capability to service, repair or modify the tools throughout the lifespan of the project.